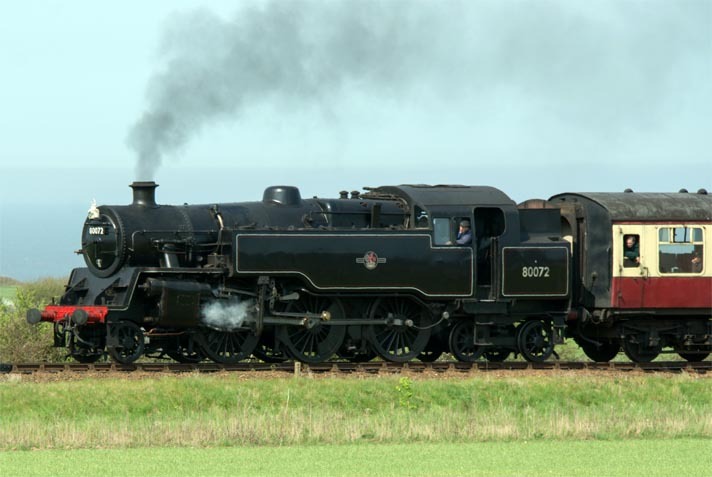 British Railways Standard Class 4 2-6-4T tank no,80072 between Sheringham and Weyboure with the sea in the background on Saturday 21st April 2018. BR Class 4 2-6-4T 80072 and GER Y14 0-6-0 Between Sheringham and Weyboure on Saturday 21st April 2018. 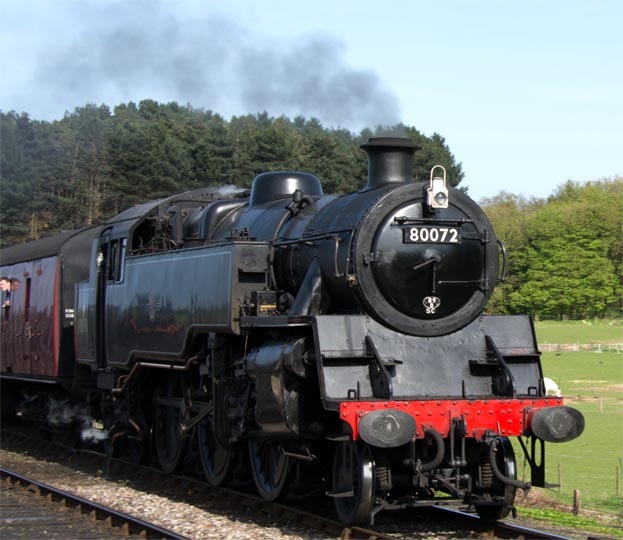 British Railways Standard Class 4 tank 2-6-4T 80072 coming into Weyboure on Saturday 21st April 2018. 2-6-4T 80072 in Weyboure station with a train to Holt on Saturday 21st April 2018. 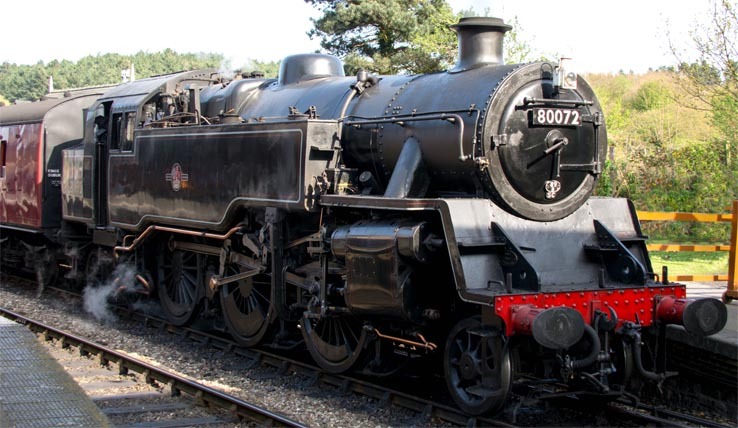 The British Railways Standard Class 4 tank were built during the 1950s. They were used often used on commuter and outer suburban services.. This one had come by road from the The Llangollen Railway for this Steam Gala.